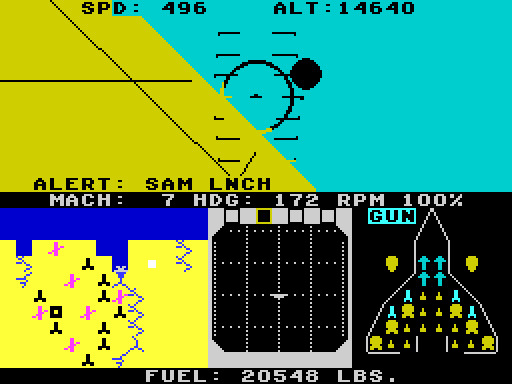 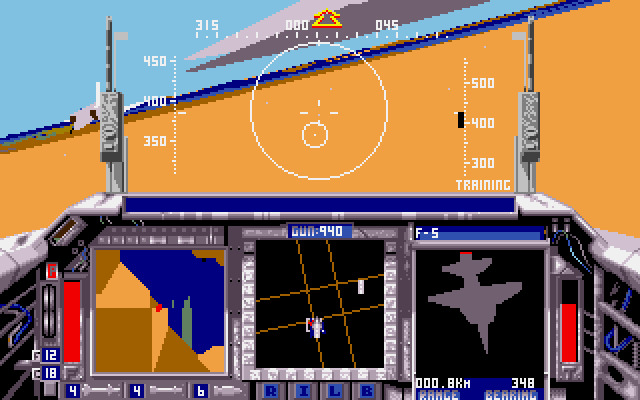 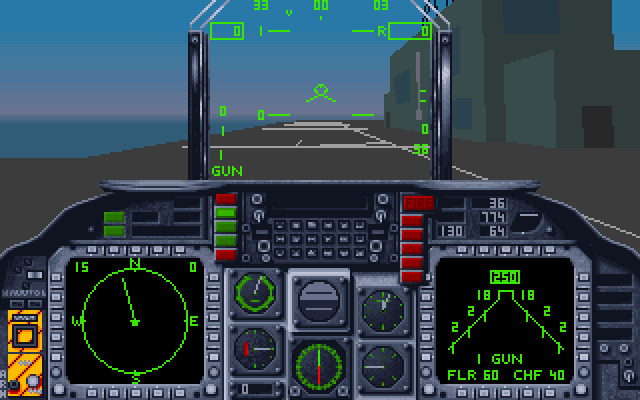 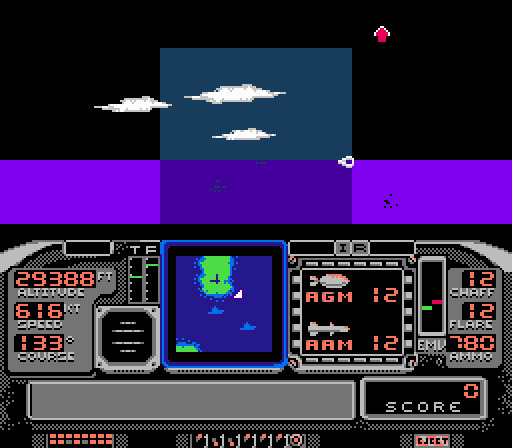 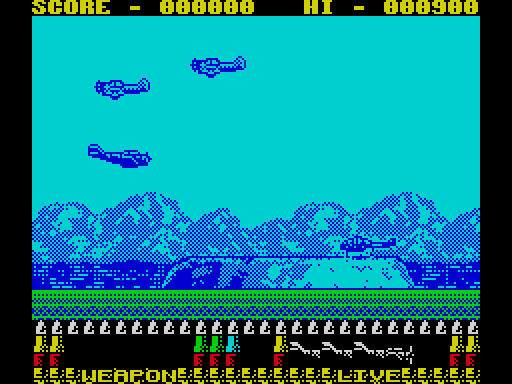 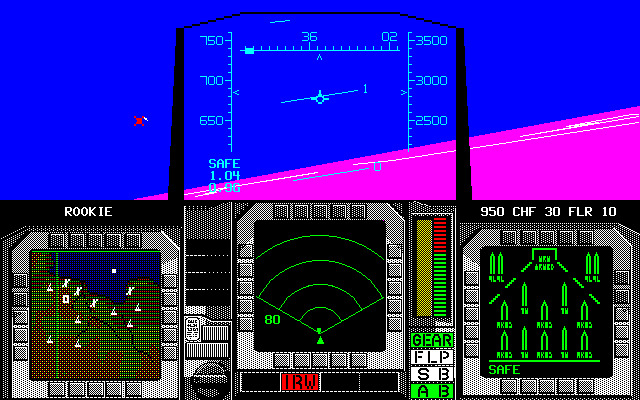 Player is in control of strike aircraft. 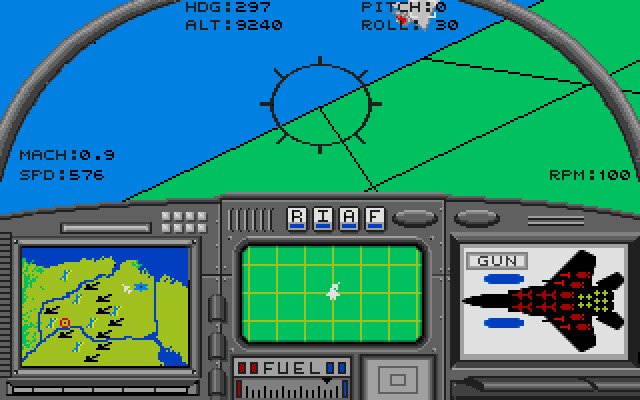 A sub-type of fighter aircraft with heavy emphasis on attacking ground targets, usually with unguided rockets, autocannons or heavy machineguns not as suitable for air targets, and/or bombs/torpedos. 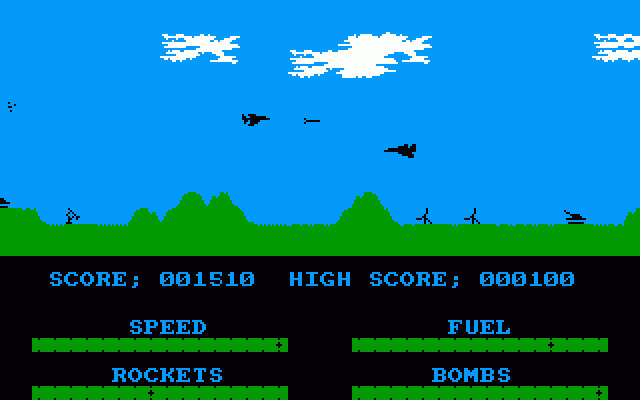 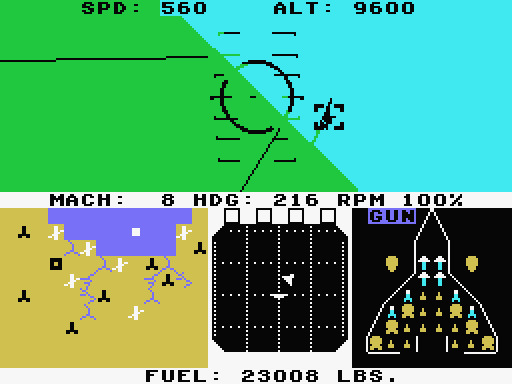 The first video game about Strike aircraft was released in 1983. 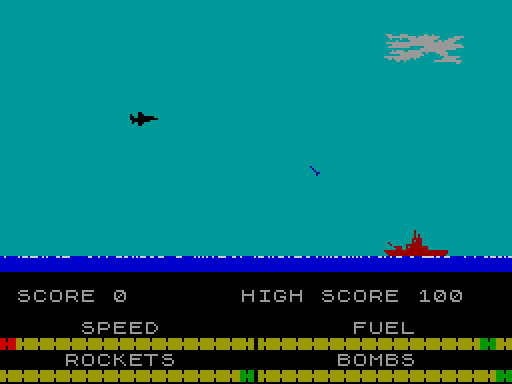 Usually recognizable by the large number of short range missiles they carry or large number and spread of machine guns/auto-cannons. 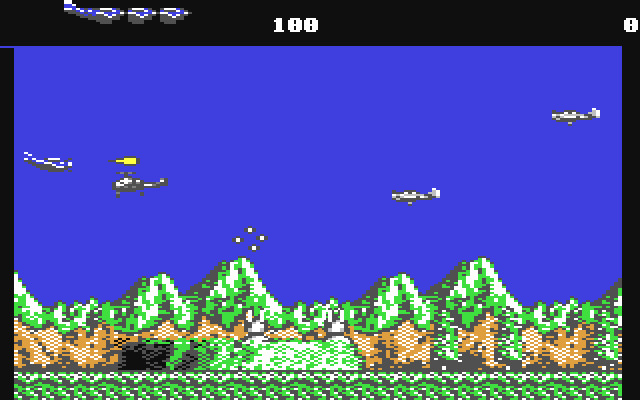 Helicopters serving the same purpose usually have nothing special since they're usually not used for anything else.